Ozzy and Snuggie are our two oldest dogs. 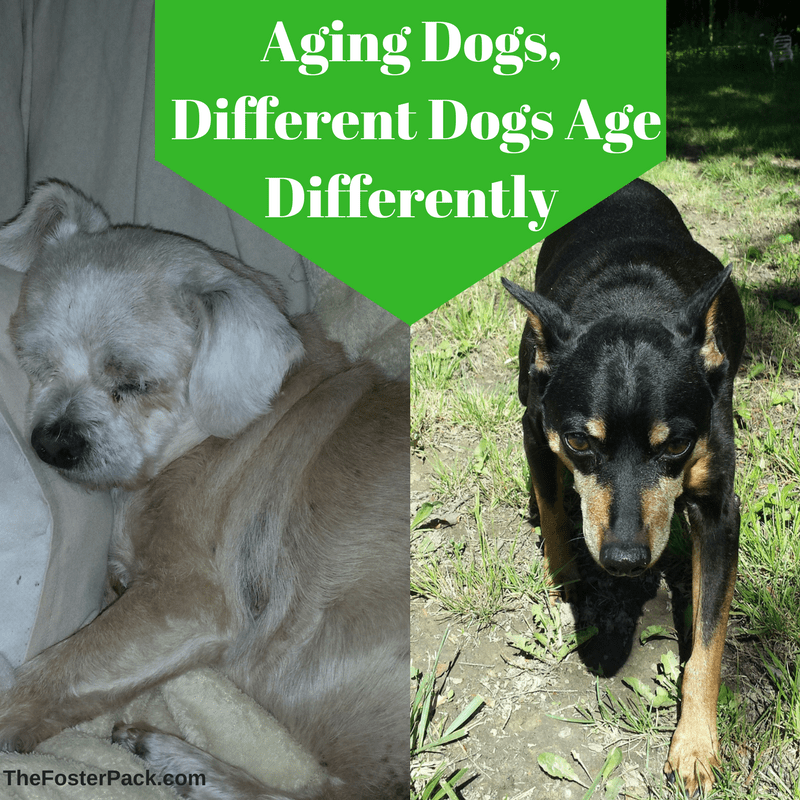 Our aging dogs. Our first truly elderly dogs. Watching them age is hard. But they seem to be aging so much differently. Ozzy seems to be aging backward. 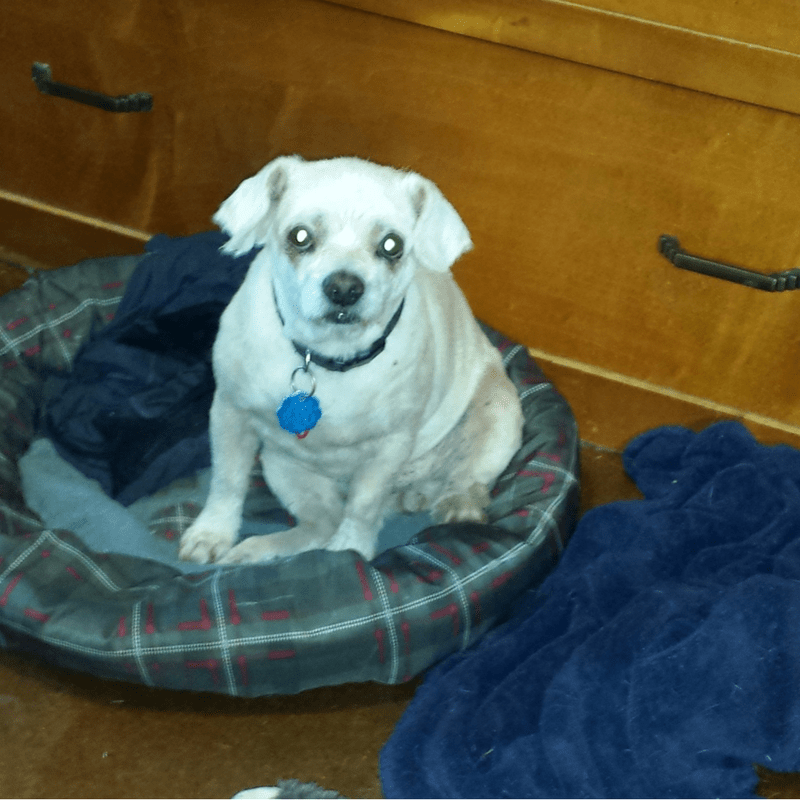 He seems to get younger and more active every year since he came to us, overweight and arthritic. He’s since lost over 5lbs, got started on a healthy diet and gets more exercise. Ozzy joined the family in August 2012 at approximately 7 years old. In in the winter of 2014/15, his joints were so achy that he rarely moved on his own. We carried him out to potty for well over a month. And we contemplated whether or not it was his time. And I researched online. 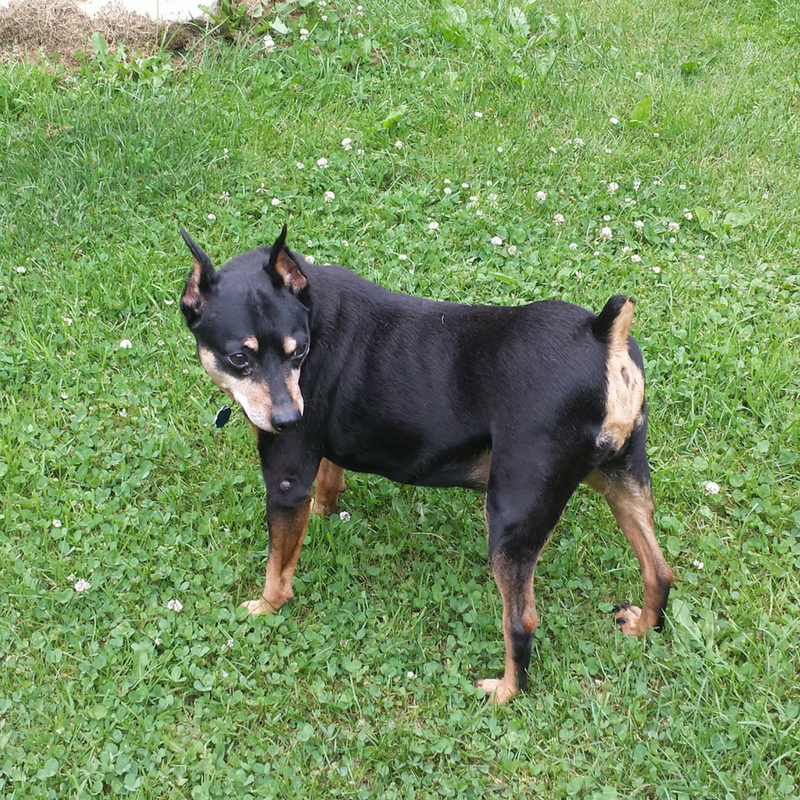 We changed vets, got him off of the pain medication, and on steroids and muscle relaxers, thinking maybe the pain stemmed from an old neck injury, instead of just arthritis. He immediately improved and came off the meds. For the next year, he had occasional reoccurrences, but a week or so back on the meds would have him back on his feet. When I read about the health benefits of coconut oil and turmeric. We immediately started him, and the rest of the dogs on it. It’s been over 18 months now since Ozzy had his last muscle relaxant or steroid. He runs, he jumps up on the low furniture, once in a while he even jumps up on my legs. His eyes aren’t quite as cloudy as they were, and he no longer has dry itchy skin either. It’s like he’s getting younger all the time, instead of aging. Snuggie came to us in November 2015. She was nearly deaf. And she had very little hair on her back end and was always itchy. Anti-fungal shampoo and a round of antibiotics cleared up her skin and helped with the itchiness. Snuggie doesn’t like the coconut oil and turmeric treats that Ozzy loves. We try to get as much of it into her as we can, by melting hers and pouring it over her meals. But if we put too much, she just refuses to eat it. So she doesn’t take the full dose for her weight as Ozzy does. She still gets twice weekly baths with the shampoo to keep the yeasty skin condition at bay. Her hearing is getting worse, we believe that she’s now totally deaf. She also pretends to be blind when she doesn’t want to go in the house after playtime. But does seem to be losing her night vision, she bumps into things when it starts to get dark. We have night lights all over the house for her. And I’m starting to notice signs of dementia, as her sister had before she crossed the bridge. She gets lost in the house, even in the daylight. Walks behind the door, instead of out of it. Other than that, she’s perfectly healthy. She runs and plays, she jumps up to the lowest furniture, and off of the couches after someone lifts her up. Snuggie and Ozzy have lived in the same environment for nearly two years now. Eating the same diet. And doing the same things. They are even similar in weight. The only difference is that Ozzy takes 1 1/2 Tsp of the [amazon_textlink asin=’B00DS842HS’ text=’coconut oil’ template=’ProductLink’ store=’fosterpack-20′ marketplace=’US’ link_id=’4376be1f-4d5e-11e8-a4b8-a713fbbc35d1′] and [amazon_textlink asin=’B01ETL0Y6U’ text=’turmeric’ template=’ProductLink’ store=’fosterpack-20′ marketplace=’US’ link_id=’553f821b-4d5e-11e8-8790-61482d43c192′] treats, and Snuggie only takes about 3/4 Tsp of melted coconut oil and turmeric each day. But that extra 3/4 Tsp a day really seems to make a difference in how they’re aging. aww what sweethearts! So strange that ozzy is seemingly getting younger – it must be so heartening to have seen that change in him! It sure is. I keep trying to get Snuggie to take more too, to see if we’ll see the same changes. She’s just not liking it at all.